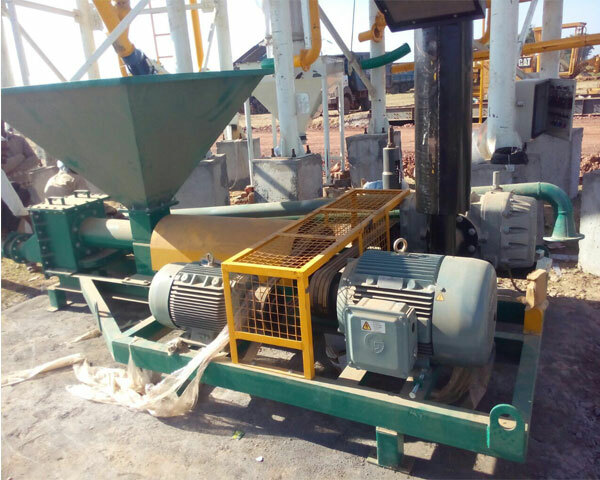 CEMENT FEEDING PUMP FOR MANUAL FEEDING IN HOPPER AS WELL AS UNLOADING OF CEMENT BULKER. 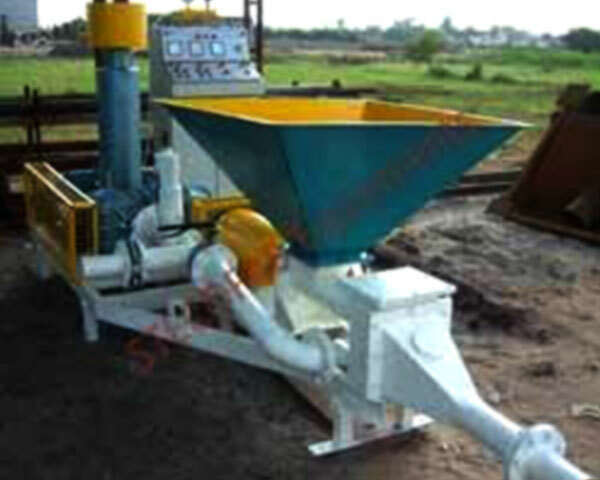 AMRUTA proposes to furnish our conveying system for the purpose of conveying cement (Bulk Density = 1.0 to 1.4 gm/cc). The overall conveying distances horizontal will be 5 Mtrs and Vertical will be 15 Mtrs. approximately. Conveying rate will be around 20 – 22 Ton/Hr depending upon the characteristic of material. One control panel and Power Source (blower) is proposed here with the offer. You have to make the arrangement to dump the cement in the powder form in to the feed hopper. ·Convey line is connected with high capacity blower to generate the sufficient force to convey the material into the storage silo. ·The system will have a facility to convey the loose cement / fly ash which comes into the bulker. ·AMRUTA pre-engineered screw pump and its components are ready for installation and require minimum attention for startup. ·Cement will be transferred inside the tubing without any obstruction to the Silo. The system proposed herein is totally enclosed and sealed. ·Feed Hopper made of Mild steel having capacity of 500 Kg. ·Power Source package complete with positive displacement type blower made of CI with 50 HP 415 V ± 10% / 50 Hz / 3 Phase, Standard Make motor (Crompton / Kirloskar ) provided with safety guards, pressure switch, Non return Valve and pressure gauge. ·Manual Operated Butterfly valves for main line and for bulker unloading facility. ·Quick Coupling with adaptor and 5.0 Mtr Hose for further connection of pumping the material. ·Tapered Control Panel stand made of MS-Powder Coated with required necessary controls.